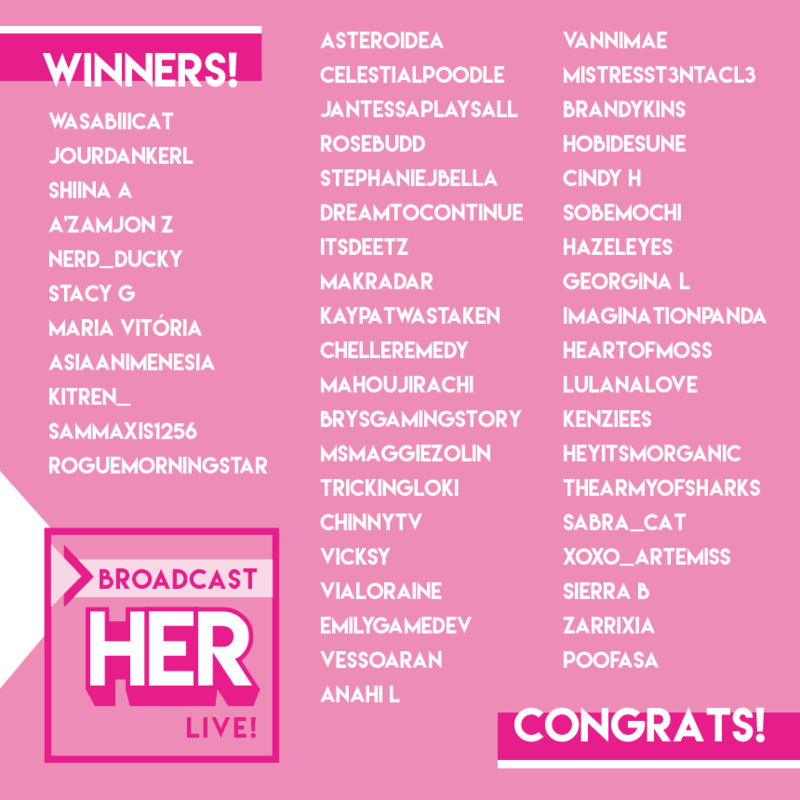 When 1,000 Dreams Fund launched our first-ever Streams for Dreams (#Streams4Dreams) charity event in partnership with Twitch during Women’s History Month 2018, we had no idea how BIG it would be. Our goal starting out: We hoped to raise funds to help fund the dreams of at least five up-and-coming female streamers and content creators with our new 1DF – Twitch BroadcastHER Grant Program. But thanks to the overwhelming support of our amazing Twitch broadcast partners who teamed up with us to help fundraise by engaging their communities and friends, we raised $45,000 in the course of four weeks, allowing us to fund over 30 broadcasters this year! We are so excited to announce our first round of grantees this year, out of more than 600 applications! We partnered up with Twitch for the “BroadcastHER LIVE” live-streamed announcement on our Twitch channel earlier today (August 1) from Twitch’s San Francisco headquarters. 1DF founder Christie Garton joined Twitch broadcaster and our event emcee Tina Degenhart (@ShadowFoxTV) to kick off the festivities, including meeting our grantees, interviews with Twitch staff including COO Sara Clemens, a live Q&A and product giveaways! We also want to give another huge shout-out to the following Streams for Dreams 2018 Twitch broadcasters who were our top 5 fundraisers!